Understanding your budget and getting a good price from the dealer is crucial if you don't want the car buying experience to leave a bitter taste in your mouth. Look through our tips to get some pointers on making your investment work for you. Set a budget and stick to it, no matter what the dealer or finance company says you can afford. Work out how much cash you realistically have to spend after bond repayments/rent, tax, bills, entertainment and other outgoings have been considered. Besides any repayments on the car itself, you also need to consider other running costs such as fuel bills, insurance premiums and servicing-these will cost you thousands each year. Consider whether you really need a brand-new car. Depreciation is the biggest cost in owning a car, with the biggest drop coming in the first year. If you buy used, even just a one-year-old model, you could save plenty and still have two years of warranty protection left. 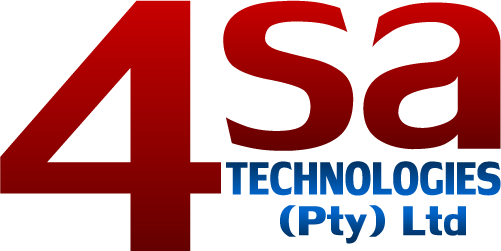 Use Cars4SA .co.za cars for sale to find out the best used car deals available on cars today. Get the best price for your old car when you trade in, or to make sure you`re not paying over the odds for the second-hand model you`re after. You must look after your own security and your car. It`s always sensible to have a friend or relative around with you. Try to meet potential buyers at your home in daylight hours to give them plenty of time to examine the car thoroughly. Ask to see a driving licence, and make a note of the licence number. Make it clear to the person driving that any speeding fines incurred during the drive will be their responsibility. Keep a log of who`s driving the car and at what times-and be sure you have their name and contact details in case they commit any driving offences. Never allow a potential buyer to drive your car without you. When it`s time for the test drive, get into the passenger seat and then hand over the keys. Allow the buyer to drive on a variety of roads and for a decent amount of time. If you try to cut the test drive short, they might think you have something to hide. Never hand over the car until you have been paid the full price. Wait for a cheque or banker`s draft to clear before handing over the keys-inform the buyer that this will be the case. Year of registration Mileage [if genuine; if you`re not sure and have no way of finding out, say `mileage not verified`]. Note that the vehicle is ‘sold as seen’. You must inform the Licensing Department of the sale by completing change of ownership document and submitting with copy of ID of your and new owner`s. The new owner should also take the certificate and the car`s service book. Should you have an extended warranty, call the company providing a warranty on the car-either a manufacturer or an independent-to inform it of the new owner`s details. Setting the right price for a used car is almost an art-a blend of research and intuition. Set the right price and you will quickly get the full value of your car. Set it the wrong way and you`ll wait weeks for a call or e-mail from a buyer. Aim to list your car at a competitive price, but one that`s on the high end of the price range. This allows you room to negotiate and still wind up with a good chunk of change. So decide where you want to close the deal and work backward from there. There are plenty of tools and resources for finding the sweet spot for pricing your used car. Here`s a step-by-step guide to this important process. Is your car in demand? Can you ask for top dollar? Is this the right time to sell it? Here are a few general rules to help you answer these questions. Family sedans, while boring to many car enthusiasts, are in constant demand by people who need basic, inexpensive transportation. Getting a good price for a convertible or sports car depends on the season in which you sell it. Sunny, summer-like weather brings out the buyers. If you sell in the autumn and winter, prepare for the process to take longer. Trucks and vans, which people often use for work, sell quickly and command competitive prices. Don`t underestimate their value. Collector cars take longer to sell and are tricky to price. However, these cars can bring good sale prices-if you find the right buyer. Take into account any other market conditions that might have an impact on your car. For example, if your car gets good fuel economy and petrol prices are high, you will be able to ask more for it than when gas is cheap. Similarly, selling a super-size SUV for top dollar is going to be tough if petrol prices are high. Contact your insurance company to determine the fair value of your car. Prices are adjusted for kilometres travelled, colour, options, condition and even region of the country. And don`t forget to take a look at other pricing guides for comparison sake. Review other classified ads to see the asking prices for other cars like yours. Most sites offer advanced searches to find close matches to your vehicle. But keep in mind that these are asking prices, not selling prices, and might just be wishful thinking by the seller. Compare the cars` condition, kilometer reading, geographic location and asking price to your vehicle to guide you in setting the right price. As mentioned earlier, be sure to leave wiggle room for negotiations. Ask for slightly more money than you expect. If you get your asking price, that's great. But if you have to go lower, it won`t be a terrible loss. As a private-party seller, however, you don`t want to look like a car dealer. Once you have considered all the hard facts, it`s time to consult your intuition. Perhaps you have a hunch that your car is desirable, or that the time is right for you to ask a certain price. As you do this gut check, remember that it`s always a good idea to err on the side of a higher asking price. If necessary, you can lower the price until you get callers. On the other hand, if you err on the low side, you'll sell it quickly but won`t get the car`s full value. Take the time to do some research before you set a price for your used car. If you do your job correctly, the car will almost seem to sell itself. Once you are satisfied, visit our Sell your Car Feature or visit www.beatmytradein.co.za and list your car free of charge.